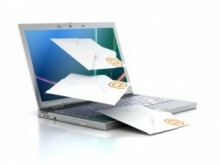 Do you spend too much time dealing with your email at the expense of other activities? Using a unique range of tools these sessions are specifically designed for busy senior executives (and personal assistants) who need to reduce the time spent handling email whilst remaining in control. To see how much email overload is currently costing you try our ‘Cost of email overload’ calculator.